The Chamber Singers performed live twice Friday morning on Fox 2 News, ahead of the Department of Music's annual "Gift to the City" concerts. 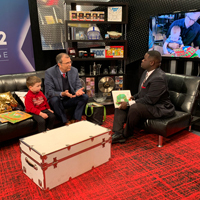 ... Tom Cornell read a children’s book on air at Fox 2 Sunday morning, then discussed what to look for when buying books for toddlers as they learn to read. ... Webster Leiden's "Move it Forward: Female Digital Starters" event was featured by Dutch News. The Webster University Chamber Singers present "Sacred and Profane," a performance in the spectacular Great Hall of the St. Louis Central Library on Tuesday, Nov. 13, at 7 p.m. The concert features sacred choral works from a variety of musical eras, and concludes with "Harmonices Mundi," a work by David Werfelmann, director of the Bachelor of Arts in Music program. Admission is free. 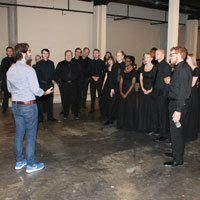 Webster University Chamber Singers performed on Friday, Nov. 3 at the biennial gathering of the National Collegiate Choral Organization (NCCO) in Baton Rouge, receiving a standing ovation. 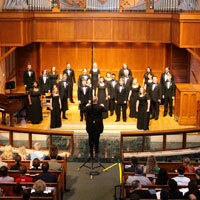 The Chamber Singers ensemble was one of 10 collegiate choirs selected through a blind peer review to perform at the conference. 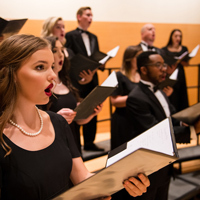 The Webster University Chamber Singers ensemble is one of 10 collegiate choirs selected to perform at the biennial conference of the National Collegiate Choral Association (NCCO). The performance in Baton Rouge is Friday, Nov. 3. 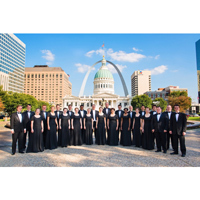 St. Louis audiences will have a chance to see them perform in a free preview concert, open to all, on Monday, Oct. 30, at Second Presbyterian Church in the Central West End. When Josh Groban comes to town, thousands clamor to hear him sing. The lucky few get to sing with him. The multiplatinum-selling star played to a sold-out crowd Oct. 19 at Peabody Opera House in St. Louis, where he was joined on stage by the Webster University Chamber Singers, to rave reviews. 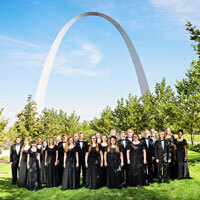 The Webster University Chamber Singers were announced last week as a semi-finalist in the college/university chorus division of The American Prize, a national non-profit multi-category competition in the performing arts.